Pinterest is a fun way to post pictures of your latest cupcakes, your cute dog, your new outfit or other things that go on in your day. Pinterest can also be a great way to share pictures and images from your site to generate some good traffic. If you use Pinterest for your website then you know it’s impossible to post 7 days a week on a regular basis around the clock… that might be what it will take if you want to generate some good traffic. The great thing is there are tools to help you schedule your pins, the one I prefer to use is Tailwind. Let’s take a closer look at the tool what it can do and how it can help you generate more traffic. I use this tool myself and you can read my thoughts about it below. If you feel like this is a good option for you, click one of the links and purchase Tailwind, I might get a commission. Cost nothing extra for you, but Tailwind might pay me for referring you. Tailwind is a scheduling tool for Pinterest and Instagram images. 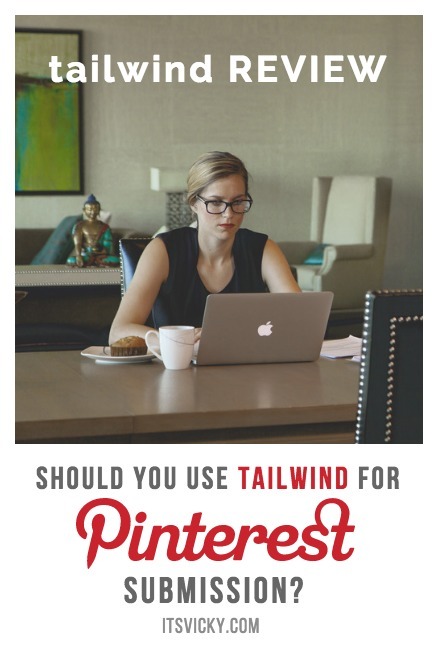 I use the tool for Pinterest so that’s what we will be focusing on in this Tailwind Review. It’s a scheduling tool that saves me a ton of time and makes Pinterest submissions easy. In the past, I would go to my blog and other interesting sites and share images very randomly. Some days I would share a few images but most days I wouldn’t even get around to share on Pinterest. It just comes down to time. Having your own blog or website there are many tasks that need to be done, research, writing and submitting new content, social media… you know how it is. When I found Tailwind, where I can schedule images way ahead of time, it just made sense to me. I now sit-down ones a week to do my Pinterest submission for the whole week. Tailwind will show me when the best time to submit is. They also help me analyze my images submissions so I can go back and see what images perform well, what images get re-pins. I can also see my follower stats and more but we will look closer at that later on in this post. 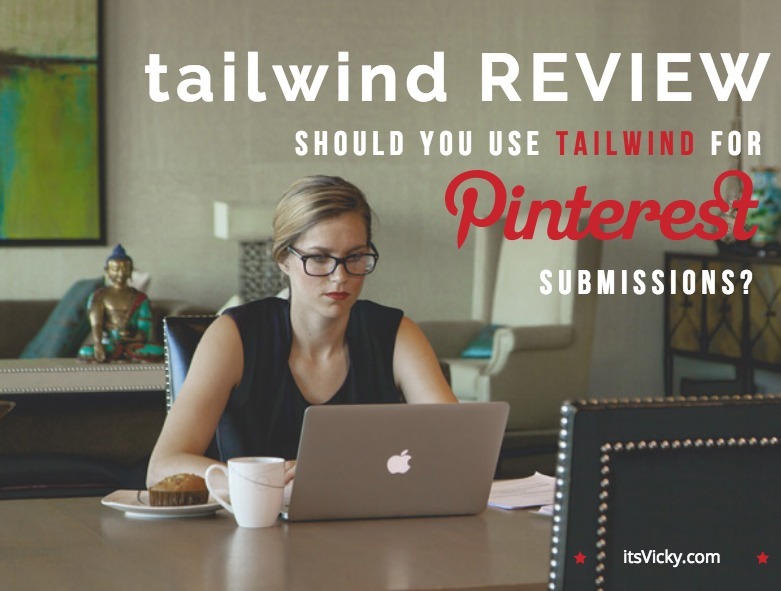 How Can Tailwind Make Pinterest Submission Easier? Tailwind will allow you to submit a pin to multiple boards and space them out with your wanted time schedule. –> Click Here to Visit Tailwind! How Do I Post an Image from My Site to Tailwind? Let me walk you through a Tailwind submission to show you how quick and easy it is to use. I use the Tailwind web browser extension, it is easy to download and make submission fast. When I visit a site, there will be a tailwind scheduling button on each image as you can see in the above example. All I have to do is click that button and the image will show up in a new window to be scheduled. I can choose to make the adjustments right there and then or I can close down the window and the image will be added to my drafts within Tailwind. Let’s schedule the pin. “Type a Board Name” this is where you type in the board you want to submit your pin to. I have created some board lists with group boards I’m a contributor to and like to submit pins too. There are 13 boards on my list and they will show when I click board list 1. I will show you later in this post how to create these boards and where to find group boards to submit to. After that, I want to update my description. Add in some relevant text and use a #hashtag. Now to one of my favorite parts, since I have 13 boards and 13 pins lined up I don’t want all of them to be submitted at the same time. The scheduling feature can help with that. You choose how much time you want between each pin and when you want the first pin submitted. Now you are ready to submit, just hit the green schedule now button. The pins are now added to the schedule. So with one submission, I scheduled 13 pins! They will go out every 19.5 hours, so no spamming, I just saved me some time! Add some more and your pinning schedule for the next week or two will be set. If you would do this with a social sharing button, it would take a lot longer, if you made the submission to the 13 boards at the same time it would probably look a little spammy. If you would want to spread out the pins you would have to come back for each one of those 13 pins… yes, Tailwind does make pinning easier and it saves time! Let’s go through the different Tailwind features and how they work. Drafts – these are the pins waiting to be scheduled. Scheduled pins – these are scheduled and ready to go. Published pins – these are the pins submitted. It will show you where the pin was submitted and how many re-pins and comments it got. It also has a button to reschedule so that you can submit the best-performing pins again. I like the “find similar content” button. Sometimes it’s hard to find other relevant blogs/images to schedule, it’s always good to mix your own content with others. The “find similar content” button can help you find relevant content and images and share that easily. Your Schedule – this is where you can customize your own weekly schedule. Create the time slot for each day of the week, when you want to submit your content. 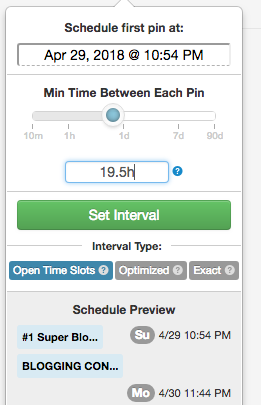 It’s easy to add and edit time slot to the exact times that you want your pins scheduled. Board Lists – In my submission example above, I used a board with 13 group boards. Board lists can be created by adding a new list and add the wanted boards to that. This can be your own boards, other people’s boards or group boards. Let’s talk about Pinterest groups. What is a Pinterest Group? A Pinterest group is a board that allows for members to submit. So a group board can have thousands of collaborators submitting to the same board. This often means an active board, more followers and more eyes on your content. Being part of relevant Pinterest groups can help you get more re-pins, more followers, and more traffic to your site. Where to Find Pinterest Groups? I use pingroupie.com to find relevant group boards to my sites. You can search for specific keywords to find exactly what you are looking for. You can also see how active the group is, how many pins, collaborators, and followers it has. To become a member of a group board you have to visit it and follow the instructions. A lot of times it is following the board and the board creator, liking a pin and sending them a message. Group boards have really been worth it for me. 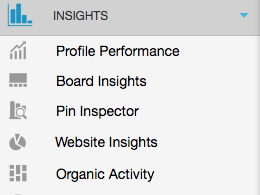 Insight, this is where you can check the performance of your pins. Profile Performance – this gives you an overview of your account and how it’s doing. 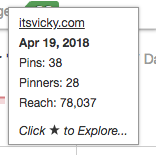 How many pins are you submitting, are you getting followers and repins? Board Insight – here you can see the stats for a specific board. This is also a great place to get suggestions for relevant content to submit. Pin Inspector – this is pretty much the same information you get with the published pins. Focused on specific pins you can see re-pins comments and more. Website Insight – gives an overview of pins from your own site, pins, pinners, and potential impressions. 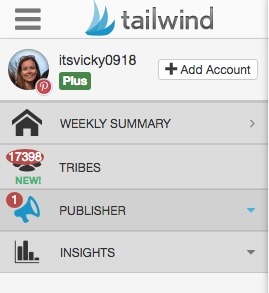 Another feature that Tailwind offers that are pretty new is the tribes, let’s look briefly at how tribes can help. That’s where Tailwind Tribes come in. 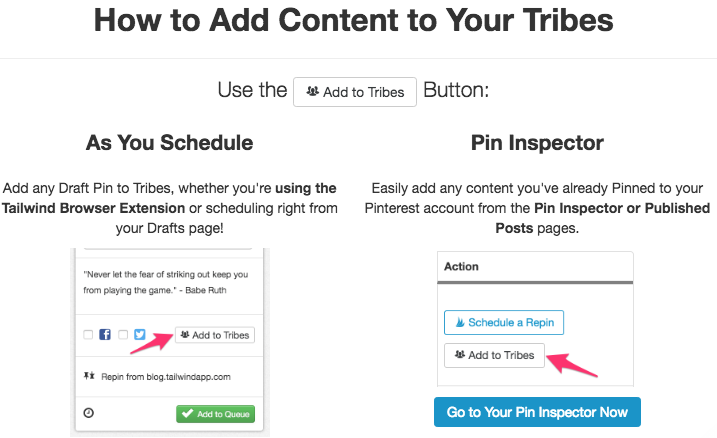 With tribes, you can join forces with like-minded people and share content with them to maximize your reach. How do you find a tribe? Go to the “find a tribe” tab and do a search for a relevant category or keyword. You will get a list of tribes that you can join. It will tell you more about the tribe how active it is and how many members it has. You can ask to join the tribe if it looks like a good fit. When you get accepted, start sharing with your like-minded friends. If you are looking for a tool to make Pinterest pinning and now also Instagram submission easier, Tailwind can do that for you. 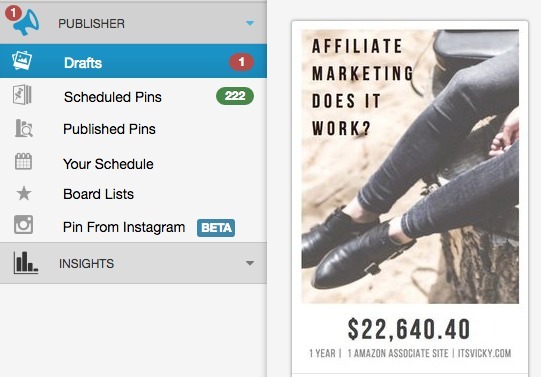 They can allow you to submit multiple pins spread out over days or weeks to come to avoid a spammy look. The exposure my blog has gotten from this, has definitely been worth the $9.99 monthly! I would love to hear your thoughts on Tailwind. Do you use it are you planning on giving it ago? They do have a free trial so if interested try it out and see if it’s for you. Have a productive day and happy pinning!